After a couple of disappointing trips to different Korean restaurants only to find out they were completely booked, A.T and I were sure that our luck had run out. That was until our heavy footsteps lead us to Oriental Spoon, and thank goodness for that! The restaurant is huge and has the capacity to feed so many people. This meant that we didn’t leave the restaurant with a strong BBQ smell however, it was quite humid and stuffy in there so I think the ventilation wasn’t the best. 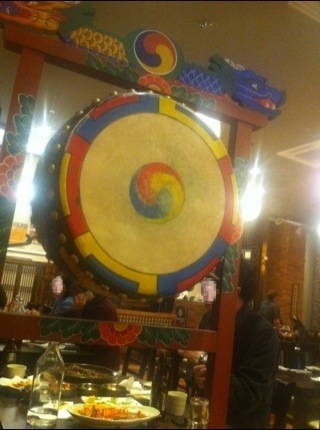 Oriental is very modern and fancy, embedded with Korean tradition and culture. 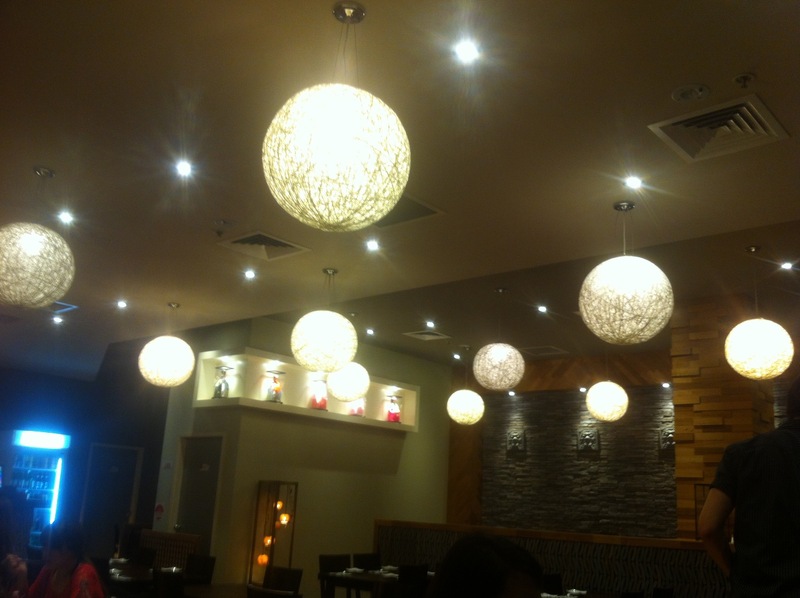 The service was great, the guy knew the menu and the other staff were friendly too. There were a lot of workers covering every area of the restaurant so you just know that you won’t be left unattended. 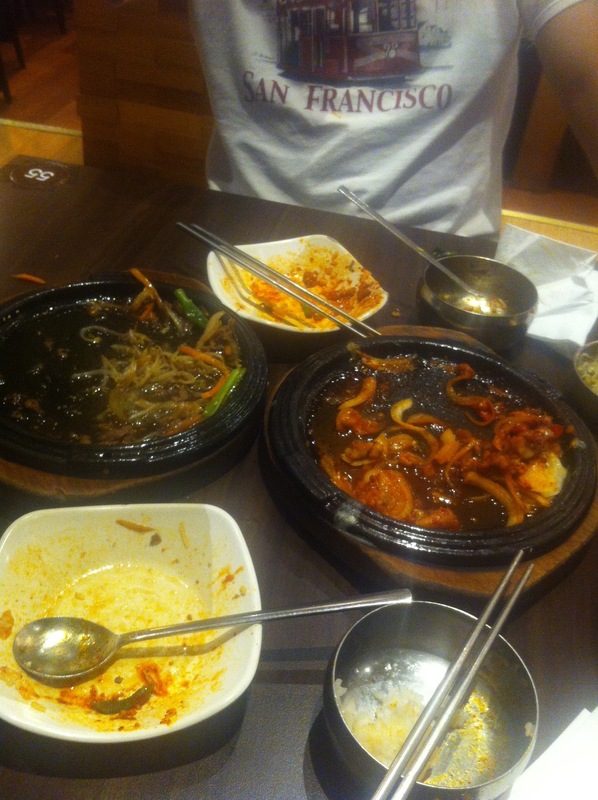 Both A.T and I thoroughly enjoyed our food, we practically devoured everything without taking a breath. Loved it! I recommend sharing the main dishes though, because I’d imagine that it would not only be difficult to finish because of its quantity, but it would probably get sickening as well. 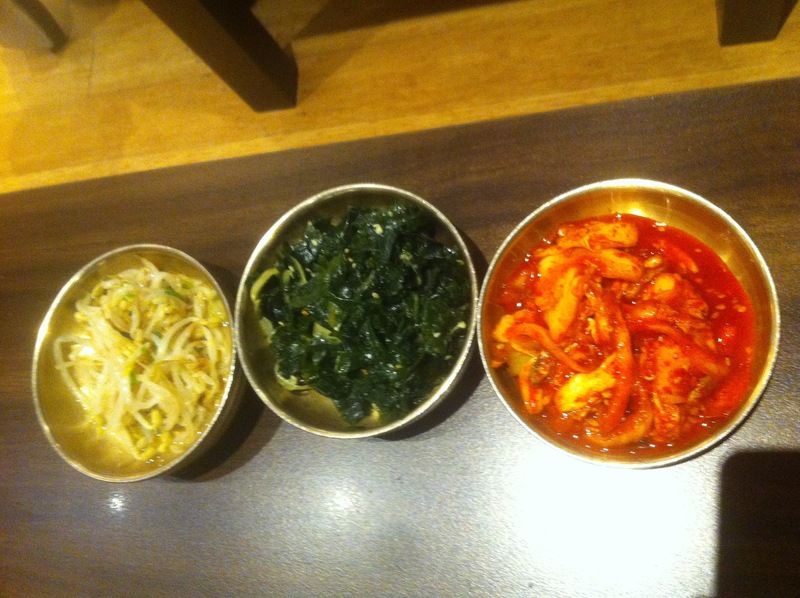 Our complimentary side dishes (bean sprouts, seaweed & kimchi) – quite generous with its portions and very scrumptious! The kimchi was the freshest I’ve tasted from a Korean restaurant but I thought there wasn’t enough cabbage. 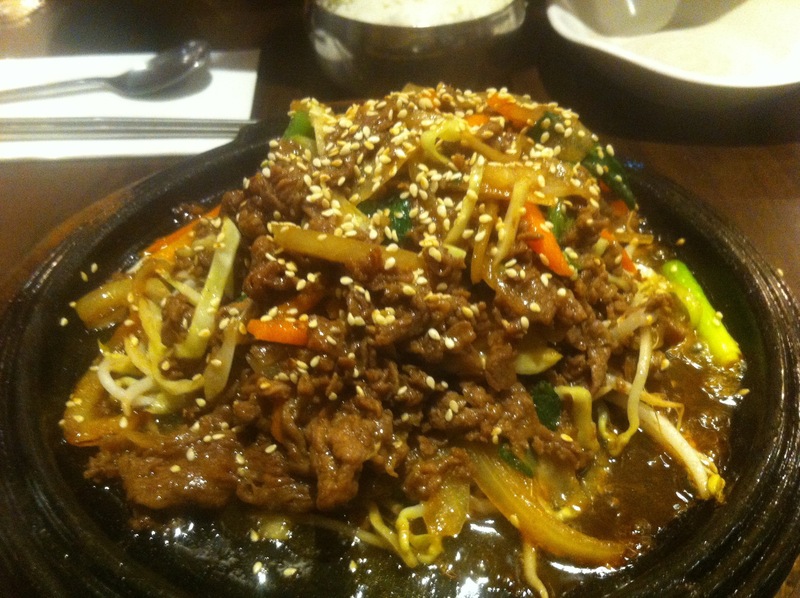 Beef bulgogi ($17.90) – finely sliced beef marinated in Bulgogi sauce, cooked with vegetables and served on a hot sizzling plate. Cheese Bul Dak ($21) – skinless chicken fillets, chopped chillies, onions and spring onions cooked in extremely spicy sauce (three chillies indicated on the menu) and served with mozzarella cheese. This dish was AMAZING! I’m usually not very tolerable with spicy foods and tend to go for the more mild stuff but I couldn’t stop eating this. 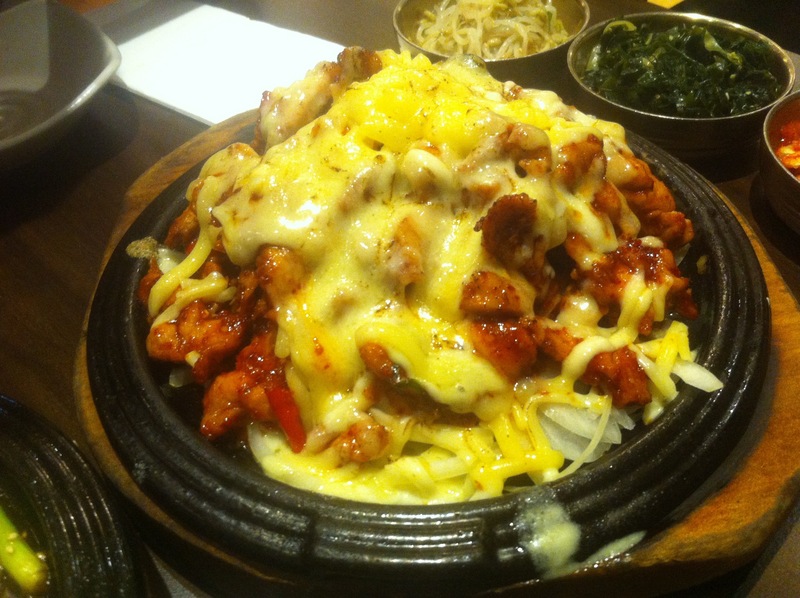 The cheese helps with the spiciness and especially when eaten with the sides and a lot of rice. The chicken was cooked perfectly, so tender and delicate. The sauce is actually quite flavoursome and it wasn’t as spicy as I thought it’d be, and the cheese just ties the whole dish together. I would go again just for this, I loved it! The aftermath… we annihilated it. Yum! Oriental spoon has $9 lunch specials.